A sequence from Worlds of Ursula K. Le Guin, taking us inside her imagination. Earlier this year, the world lost one of its most prolific creators when Ursula K. Le Guin passed away at 88 years old. 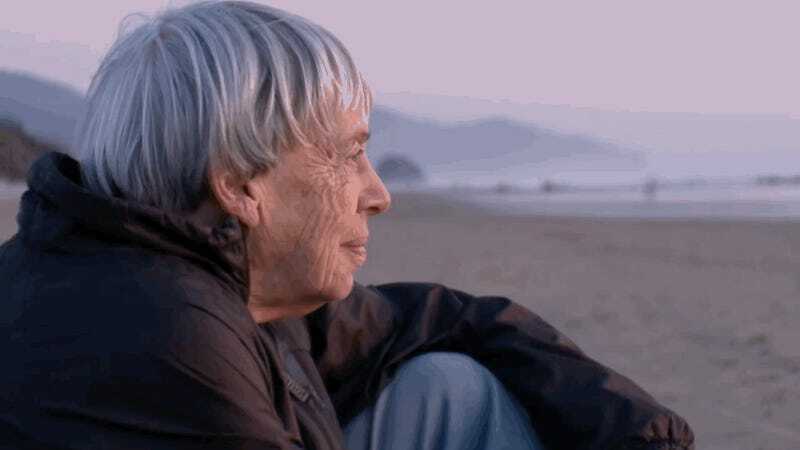 Now, the universes she created and the people she inspired are here to share her story, in the debut trailer for Worlds of Ursula K. Le Guin, a documentary that’s been in the works for nearly a decade. Worlds of Ursula K. Le Guin explores the award-winning science fiction and fantasy author’s life and work, through a series of interviews with literary history experts, popular contemporaries like Neil Gaiman, as well as talks with Le Guin herself. The trailer promises an intimate examination of Le Guin’s life—as well as a larger conversation about the history of sexism in scifi and fantasy literature, and how Le Guin overcame the odds stacked against her. Filmmaker Arwen Curry has spent about nine years working on this documentary, eventually turning to crowdfunding on Kickstarter back in 2016 to complete the project. After raising over $230,000—almost triple the original request—the documentary was set to come out last year but was delayed. It’s been a long road coming for this one, and news of Le Guin’s death made sharing her life story even more paramount. But the documentary won’t be the only way Le Guin’s stories are told. Her novel The Telling is being turned into a movie, and her popular Earthsea novels have been picked up for a possible film series. Worlds of Ursula K. Le Guin is set to premiere at the Sheffield Doc/Fest on June 10, followed by a series of US festival visits and eventually a digital release online. Curry also revealed on Kickstarter that the documentary will be broadcast on PBS American Masters sometime in 2019. What&apos;s the best system of magic in any fantasy world?